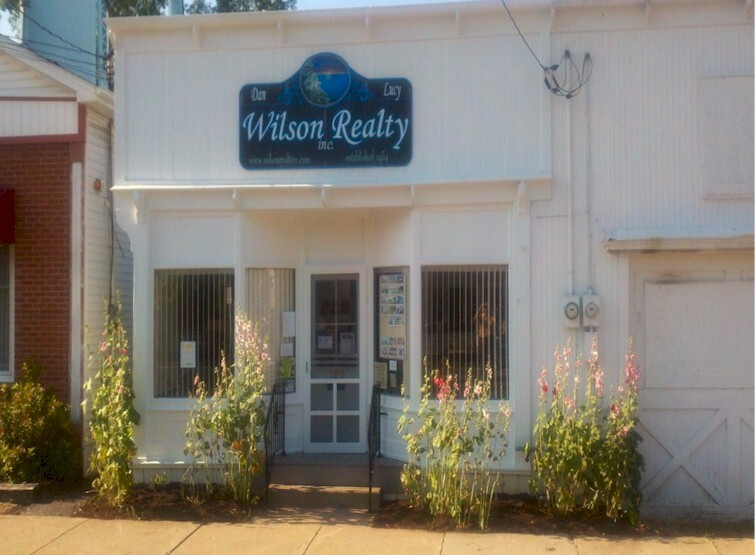 Dan & Lucy Wilson Realty has been a cornerstone business in the Village of Youngstown since 1934. While others have come and gone, we have remained committed to serving the community as the “go to” place to buy and sell real estate in the northeast corner of New York State. We have been here serving local farmers and large corporations from nearby Niagara Falls and Buffalo through good times and bad. Our knowledge of the community is unparalleled! Whether you are looking for lake or river front property, open land for recreation or farming, new construction, or existing homes, we can help. Time to find a larger home as the family grows? Time to downsize? Just time for a change? We can help you find the perfect property to suit your needs. On our site, you will be able to find residential, commercial, and investment properties throughout the region. While we are a small-town agency, we serve the entire Western New York real estate market. Not all that comfortable searching the internet on your own? We would be glad to sit down with you and prepare a custom search just for you. If you are planning on selling your home, we offer many unique advantages such as custom video tours of your home as well as aerial photograph and videos. Your home will be featured not only on our site, but on real estate websites across the world. Let us show you what we can do for you!